the litigation process, and now we are prepared to help you. Why does a car accident case go to trial? It may be necessary to take a car accident case to trial if the parties involved cannot reach an agreement as to who caused the accident, or perhaps the parties agree that the plaintiff was injured but cannot agree on the amount of compensation that should be paid. Whatever the situation may be, a car accident case will go to trial should there be some substantial disagreement that prevents the parties from reaching a settlement. If you happened to be involved in a car accident case that is going to trial, you may be worrying about what you can expect. This article will discuss some common concerns and what you can expect. In Florida and most other states, a car accident trial will likely be heard by a jury in addition to a judge. A jury of twelve individuals, or sometimes fewer, will be selected by the judge and lawyers during what is called voir dire. Potential jurors are asked a series of questions to determine whether or not they will remain fair and impartial during the trial. In a case that is tried solely by a judge, the judge will act as the jury and weigh the presented evidence in order to make a decision. Each party will be given the opportunity to present an opening statement, which gives each party’s attorney the chance to present to the jury what he or she will prove or refute. Typically, the plaintiff’s attorney will go first, as he or she has the burden of proof. This portion of the trial will generally last about a quarter of an hour. Next, each party’s attorney will present the evidence relevant to the case. The plaintiff’s attorney will go first due, again, to the burden of proof. Each party’s presentation of evidence will follow the same format. Each attorney will call witnesses to the stand to testify on issues related to the case. The plaintiff and the defendant will both generally testify on their own behalves, in addition to any bystanders who witnessed the accident or doctors who have treated the plaintiff. Each party will also have an opportunity to interrogate the opposition and object to the presentation of any piece of evidence. The plaintiff’s testimony will be the most important, as he or she will be testifying on the injuries sustained and any pain and suffering caused by the accident. 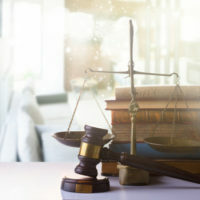 Following the presentation of evidence, each party’s attorney will give a closing argument, during which they will give a summation of evidence in addition to requesting judgment in his or her client’s favor. Following the closing arguments, the jury will proceed to a private room to deliberate on the presented facts. The judge gives the jury strict guidelines to adhere to as well as information regarding the burden of proof and the four essential elements of negligence. The judge will also ask the jury to determine whether or not the plaintiff’s case meets the requirements. The jury will use this information to reach a verdict. When a verdict is reached, the judge will bring the jury back into the courtroom so the verdict may be read to the court. Ideally, you should retain the help of a Miami car accident lawyer before your case goes to trial, as the right attorney can negotiate a more than fair settlement on your behalf and negate the high cost of going to court. However, if your case has reached the point where litigation is the only viable solution, our team at Spencer Morgan Law is prepared to help you navigate the litigation process and fight on your behalf for the best possible outcome. Contact our law firm today to get started.